Kings Heath’s Christmas tree for 2012, will be more than just a Christmas tree this year. On Saturday 24th November in Kings Heath’s Village Square, the Kings Heath Tree of Hope will be lit. 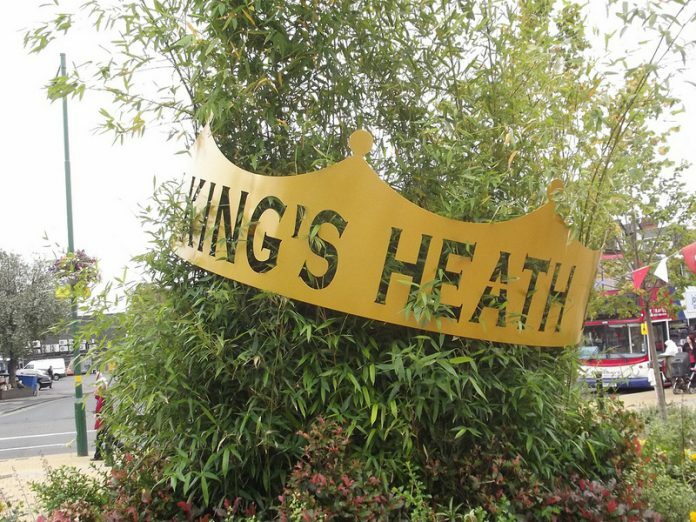 An initiative from the Kings Heath Business Improvement District (BID), the Tree of Hope is intended to provide the community of Kings Heath with the opportunity to remember loved ones during the festive period. The Tree of Hope initiative will be launched in the Village Square on Saturday 24th November at 4pm, with Reverend David Warbrick from All Saints Church, holding a service of reflection. The ceremony will be a simple one, making space for people of any faith or none. Following the service in All Saints Church people will gather around the tree to see the lights be switched on and have the opportunity to tie a ribbon on the rope around the tree to remember a loved one. Brian Miles from the All Saints Community Development Company, sees the Tree of Hope initiative which is funded by the Kings Heath BID as the perfect way to use the Village Square and bring the community together. Following the Tree of Hope switch on, taking place on Saturday 24thNovember, Kings Heath’s main Christmas lights will be officially switched on, on Sunday 25th November with festive family fun starting from 2pm on the Village Square.